Noctiluca scintillans is found across the globe in neritic waters in most latitudes except the polar zones (Miyaguchi et al. 2006). Some specific locations of populations of Noctiluca scintillans are in the waters around the coast of Australia, Japan, and Italy (Miyaguchi et al. 2006 and Dela-Cruz et al. 2004 and Umani et al. 2004). This shows that N. scintillans affects a wide varitey of ecosystems globally, and this makes learning more about this organism very scientifically relevant. Noctiluca scintillans is commonly found in coastal waters, and it becomes less abundant farther out from the shallow coasts (Miyaguchi et al. 2006). A major study of the causes and traits of red tide blooms caused by Noctiluca scintillans was undertaken in Sagami Bay, Japan because of the large amount of plankton and the great variety of organisms that can be found in the environment (Miyaguchi et al. 2006 ). Noctiluca scintillans even has the ability to live in temperatures near 30ºC to temperatures below the freezing point of water, but this dinoflagellate is not in optimal growth conditions when the temperature is less than 15ºC (Umani et al. 2004). Therefore N. scintillans is able to live in tough conditions, but it has a difficulty flourishing in extreme environments . During the winter Noctiluca scintillans populations are very small and can even seem to disappear, but as the surface water warms up in spring and summer, the population is much larger than in the cold winter (Umani et al. 2004). Dense populations of N. scintillans come together during large blooms which most commonly occur during a period between March and May (Miyaguchi et al. 2006). This shows that during recent studies populations of Noctiluca scintillans change relatively consistently as the cycle of seasons occurs.The blooms create red tides which are clearly visible at the surface not only from close up but also from far away (Dela-Cruz et al. 2004). There was not a consistent pattern of Noctiluca scintillans blooms occurring until the 1980’s, and since that decade red tides have happened in patterns more often and were of a much greater magnitude (Dela-Cruz et al. 2004). Noctiluca scintillans forms dense layers at and just below the surface of the water and causes changes in the color of the water in this blooming area (Kiorbe and Titelman 1998). There are also other factors such as Ammmonium levels in the water that affect the populations. 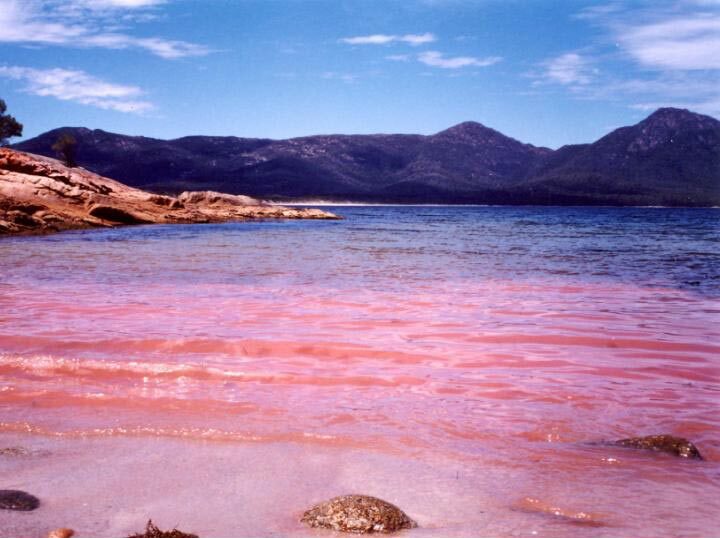 Blooms of Noctiluca scintillans eventually decompose after they have peaked in population density, and this decomposition leads to deoxygenating of the surrounding water (Umani et al. 2004). The rivers which are near bodies of water that contain Noctiluca scintillans can have effects on the aquatic environment that the dinoflagellate lives in. This is mostly shown by differences in salinity in the aquatic habitat, varying according to the discharge rates of the nearby river(s) that feeds into the body of water which N. scintillans inhabits (Umani et al. 2004). Noctiluca scintillans is a very common dinoflagellate across the aquatic habitats of the world, and it has many adaptations to thrive in its environment. It is important to better understand this dinoflagellate’s form and function and the implications of these characteristics in relation to the organism's habitat. 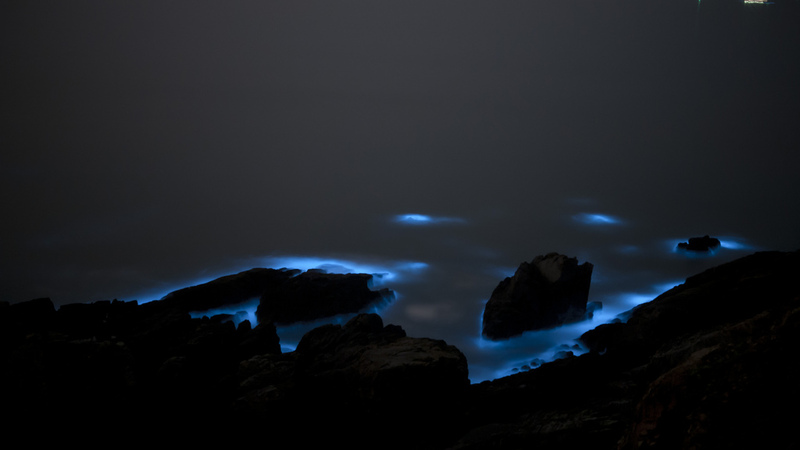 It is interesting how Noctiluca scintillans is found so many places around the globe. Now you can learn about the form and functions of N. scintillans in the Adaptation section. If you would like to start fresh on this website click Homepage.